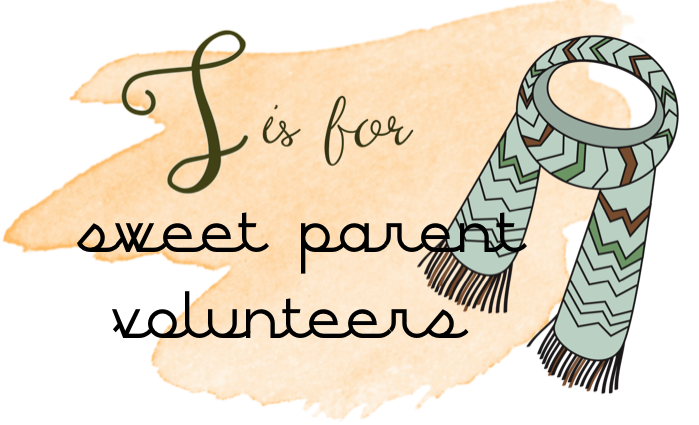 Aren't we all so thankful for our parent volunteers? Whether you have one or many, whether they help you in the classroom or at home, whether they help frequently or when they can, we all love our volunteers! I'm starting to think about the holidays and how I want to express my gratitude with a little gift for my volunteers. One of my favorite gifts to give is an upcycled dessert stand, with some treats of course! 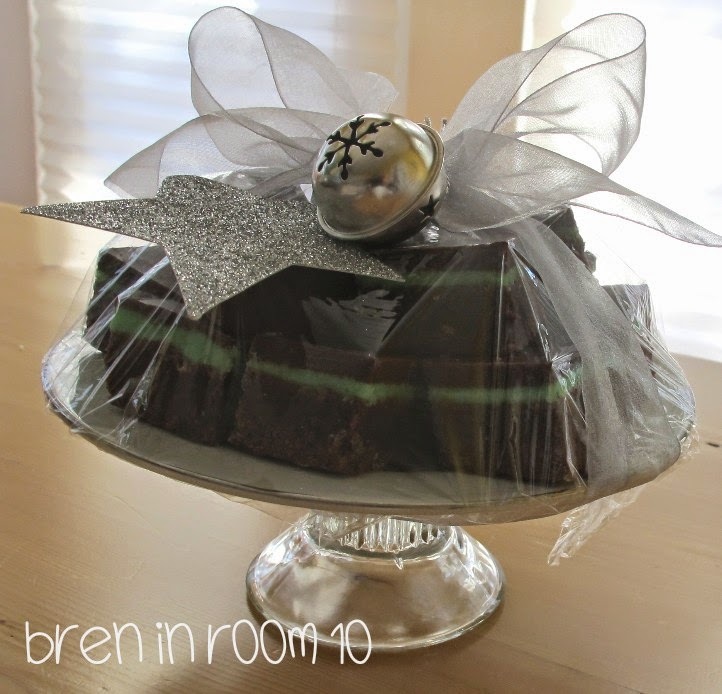 Here are some Creme de Menthe brownies decked out for the holidays with a simple ribbon and a large bell on an adorable treat stand. So, today I want to share with you how to make the stands. It all starts with the "thrill of the hunt" at your local thrift store. Look for pretty plates that catch your eye. For the support, look for candle stick holders, inverted dessert bowls, vases, drinking glasses, small glass lampshades etc. It's a little easier to find plates that I love than supports for them. Sometimes I have to head to the Dollar Tree for their cut glass candle stick holders, although I prefer previously owned. Below is a small inverted vase I found for $1 at the thrift store. Use a little sand paper to roughen up the areas to be joined. Use E6000 adhesive to provide the bond. The plate that I pared this with was also a thrift store find at $1. Eyeball the center and press together lightly. Let it dry for at least 24 hours. and one with a metal candle stick holder that I just love. Here is a fabulous short video from Leigh Anne Wilkes that will give you some more ideas. These stands come out unique, pretty and they won't break the bank if you have oodles of volunteers. Wow girl! You are fancy...I'm impressed. I triple heart my volunteers, but I am lucky if I just swing by Bath and Body works and grab them a lotion. I am so going to aspire to do something this wonderful! Very cool!! Ha-ha...lotion is usual my end of the year gift! These look fancier than they are. Thanks for stopping by Christy! Thanks Holly! Let me know how it goes.